They say the pen is mightier than the sword. So, today I want to pierce though these pages and make a declaration: God is still on the throne, and He is not dead. Although the enemy has come to kill, steal, and destroy, God has already won the battle. Have you ever felt like David? Well, today, I am David. I am crying out to God and asking Him “how long?” How long, God, will the wicked prosper? How long will the wicked triumph over men of God—your people? How long before God intervenes in the face of injustice? Will the man with no conscience reign forever? Will God be blinded forever to the evil man’s acts of injustice? or my enemies will conquer me. Make your way plain for me to follow. Have you Seen Greater Works? Have you ever had one of those philosophical moments where even the simplest action ignited a myriad of thoughts? Well, for me, today was one of those days. This morning as I drove to work I began to wonder: What did Jesus mean when He said, “whoever believes in me will do the works I have been doing, and they will do even greater things than these, because I am going to the Father,” (John 14:12, NIV). What do those greater works actually look like today? Back then, Jesus sighted the blind, healed the lame and raised the dead. So what does greater works look like in 2013? When Jesus gave us the promise of “greater works,” it was given as a conditional and not an absolute. In order for us to see the manifestations of greater works, Jesus said we had to believe in Him. This belief is not simply an acknowledgment of Jesus’ existence but a conviction of His might. This belief has to be activated by our faith. Maybe, just maybe, the reason why we haven’t seen an abundance of “greater works” is because we are limited on our faith. In the Bible, we saw numerous examples of great faith and great works. When the woman with the issue of blood touched the hem of Jesus’ garment, she knew that she was healed. In fact, Jesus told her that her faith had healed her. In 2013, there is no reason why we should not be experiencing people being raised from the dead, limbs being regenerated, diseases being cured and people walking into their Canaan. If you think that this sounds a little silly, then that’s actually part of the problem. I think that when we begin to believe, God will do the supernatural (the impossible.) He will either do it the old-fashion way by simply yelling, “Lazarus, get up,” or He could do it new-school by yelling, “Clear” (reference to a defibrillator in a hospital). There is no reason why you and I should not be able to see greater works. When Jesus died and was risen, he left us the gift of the Holy Spirit. In Joel 2:28-29 God said, “And afterward, I will pour out my Spirit on all people. Your sons and daughters will prophesy, your old men will dream dreams, your young men will see visions. Even on my servants, both men and women, I will pour out my Spirit in those days, (NIV). In John 14, Jesus said that He would not leave us as orphans (verse 18). Jesus left us the Holy Spirit to teach us, guide us and protect us. With the Holy Spirit guiding us and protecting us, there is no reason why we should not be seeing our “greater works.” My prayer is that, today, God’s people will begin to believe and do greater works. In Jesus’ name, Amen! “For where two or three gather in my name, there am I with them,” (Matthew 18:20, NIV). If we were to take Matthew 18:20 literally, we would be inclined to assume that when the author spoke of a gathering, he was simply referring to a natural occurrence—an assembly of people. We couldn’t be more wrong! The Bible is filled with double, even triple, entendre. What if I were to tell you that it is possible for people to gather without meeting? 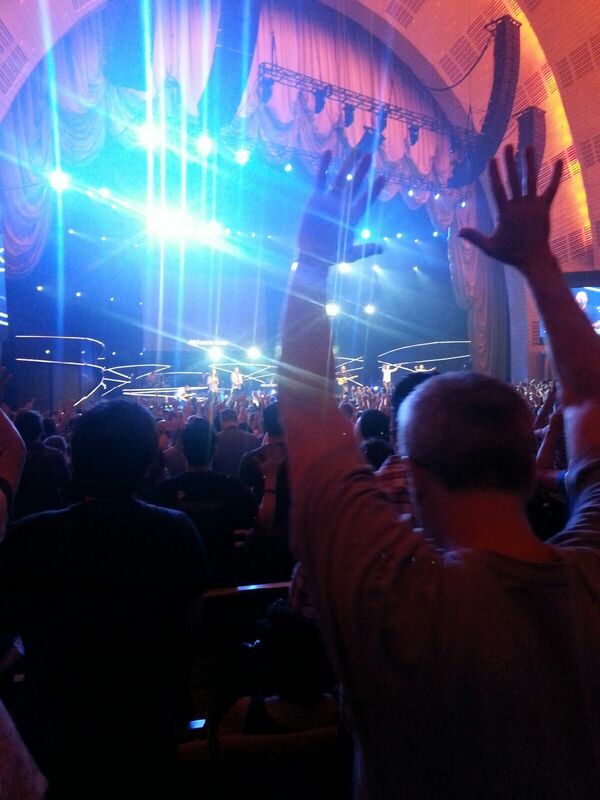 This weekend, I attended the 2013 Hillsong Conference, which was held at the world-famous Radio City Music Hall in NYC. Although Hillsong Church, which was founded in Australia, has hosted several conferences in the past, this was their first conference in NYC. In fact, about three years ago, Hillsong Church set their sights on the Big Apple, and Hillsong NYC was birthed. As I sat in the audience and listened to the stories of some of the pioneers, I noticed one common denominator. God had made an impression on each individual’s heart, and each individual followed up with prayer. Their prayers for NY made me think of my own NY experience several years prior. Picture this: New York City, Lower East Side (Sorry, I couldn’t resist. I love Sophia from the Golden Girls. For those of you who have no idea what I am talking about, you’re missing out). I digress. Picture this: New York City, Lower East Side. I was a young, naïve woman living in the City of Lights—not a very safe place for the young and vulnerable. Don’t get me wrong. I love NYC. It is a great place with golden opportunities. The “theys” have said that, “If you can make it in NY, you can make it anywhere.” That is certainly true. There are a lot of hopes and dreams that have been birthed in the concrete jungles of NY. However, there is a dark side to NY. It can be a predatory environment. The treacherous and the ill-intentioned have also flocked there. They too are looking for opportunities, but opportunities of a different kind. They are there to deceive and defraud. When I moved to NY, I knew I needed to be grounded. I knew I needed to find a church home. When I first arrived in NY, I knew no one. I found my first church through an online search from slim pickings. Eventually, I found one that was in walking distance from my dorms. I was excited. My excitement was short-lived. Let’s just say that five minutes into the service, I knew that I would NEVER return. The following week was equally eventful. My new find was also in the City, but a little further away from my first location. I guess I should have known something was amiss when the cabbie pulled up in front of the church and asked me whether he should stick around while I scoped out the scene. Those who are familiar with stereotypical NY City taxi drivers know that offer was unusual. Typically, they speed off while you still have one foot in the vehicle. All kidding aside, stubbornness got the best of me. I told the cab driver to leave, and proceeded inside. Service was scheduled for 11 o’clock on Sunday morning. This time, I had taken extra precautions to ensure that I would have a positive experience. Early Saturday afternoon, I had called the church office to confirm the time and location of the service. I arrived at the church around 10:45. To my surprise, there was only one other person there, and he gave me the creeps. He was a talk, middle-aged man dressed in a black suit and a top hat. He tried to make small talk, but I couldn’t hear him over the intensity of my heart pounding. Between questions, he would intermittently open and close the door to the entrance of the church. My pulse raced each time the door closed. Maybe he was a standup Christian man, or maybe he had stacks of bodies in the church basement. I didn’t want to stick around long enough to find out. During one of the open-door intervals, I bolted, and I did not look back. That was week two. 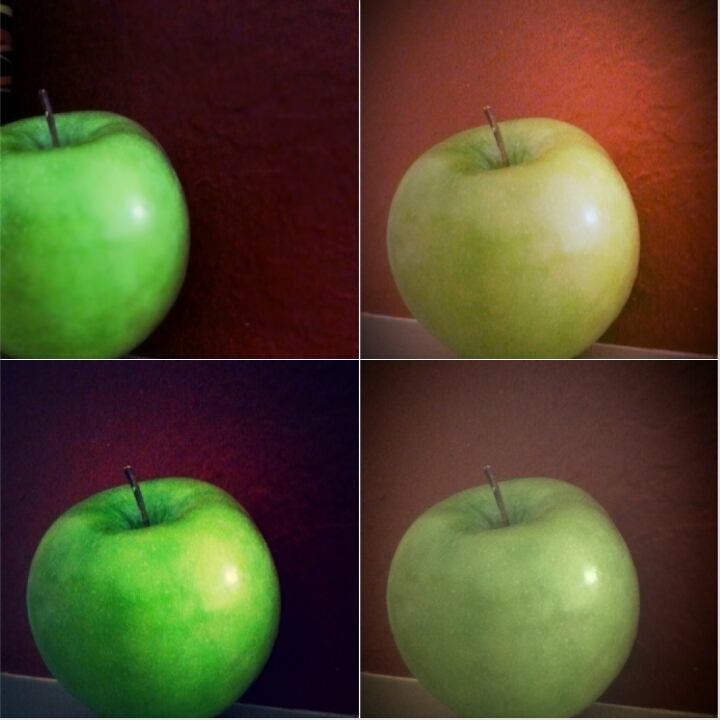 By the third week, I had grown tired of being disappointed and frustrated. In my heart I whispered, “If I don’t find a church that I like this week, I will stop looking and just not go.” Thankfully, we serve a God that responds to silent SOS. On the third week of my church quest, I found yet another Manhattan church online. That Sunday morning, I got dressed and headed down the elevator as I had the weeks before. As I was about to exit the building, I stopped and chatted with my building’s front desk security guard. He was a Christian, and we had spoken about Christ many times before. That morning he asked me a question that changed my life. “Where do you go to church,” He asked. When I told him that I was having difficulty finding a church, he suggested that I look up the Brooklyn Tabernacle. His suggestion resonated with my spirit. I dashed upstairs before he could place the final period on his sentence—I couldn’t have move fast enough. That afternoon, I attended the 12 o’clock service at the Brooklyn Tabernacle. I was fed there for almost five years—the entire time I lived in NY. This is the point where our story comes full circle. Although I LOVED the Brooklyn Tabernacle and would never trade my experience, there were weekends where I wished that the City offered more variety for hungry Christians and famished unbelievers. Oftentimes, I would pray that individuals who had also had difficulties finding a church home would not be discouraged. I prayed that God would give them a place of worship where they could hear about His Word and His greatness. Those were some of my prayers. Who would have thought that somewhere across the globe people that I did not know, would be “GATHERING” together with me in prayer for the same thing. Though we were separated by space and time, we were still able to gather together in God’s name. Several years later, God answered the cries of His people. Due to the gatherings of many faithful people across the world, God responded to the cries of the City. As a result, newly planted churches such as Hillsong joined previously established NYC churches to create and even bigger movement of God. The revelation that the term gathering could be interpreted as a “spiritual meeting” is not to minimize or discredit the importance of intimate, personal fellowship and prayer, for the Bible does say that we should not forsake the assembly of believers (Hebrews 10:25). However, the antidote simply serves to illustrate that our God is not impeded by our limitations (e.g. time or space). Today, please know that you are not the only one praying for your situation. Others are, or have been, gathering, whether personally or spiritually, on your behalf. Isaiah 55:11 says that God’s Word will not return to Him void. In other words, your prayers that have been rooted in His promises WILL be answered. So be of good courage tonight and know that God will do what He said He will do!